Mark Watney is a funny guy. A funny engineering botanist guy who just happens to work on Mars. Mark works with five other scientists at the Ares 3 base on Mars. Everything is going swimmingly–experiments are running, scientific data is being taken, and human-type folks are generally learning more about Mars–until one day, a terrible storm threatens to destroy the Ares 3 orbital return vehicle. The humans, under threat of being stranded on Mars without a return vehicle, make a hasty decision to abort the mission. They flee for the escape vehicle, and blast off. And, unfortunately for funny guy Mark Watney, they leave him behind. “The Martian” is about Mark Watney as he attempts to survive his ordeal on Mars. Mark’s sense of humor comes into play as he tries to figure out how he might live long enough for the Ares 4 team to rescue him. Mark’s role on the Ares 3 team was to “fix stuff,” and boy does he get the chance to do a lot of fixing. In full MacGyver mode, he cuts and tapes and seals his way along, adding to his survival time. As he grows potatoes, listens to disco music, and watches old reruns of “Three’s Company,” we, the reader realize that the real reason Mark Watney continues to survive is that he is a funny guy: his ability to see the humor in all his various situations is the reason he is able to surmount them. “The Martian” contains all that is good in a story; we have a stalwart hero in Mark, a worthy villain in the living conditions on Mars, and the support of cheering masses of the people of Earth. We have science, we have engineering, we have admirable use of duct tape, and we have lots and lots of humor. Mark Watney embodies all that is best in humanity, and in the attempt to save him, the humans of Earth shine as well. A brilliant story, brilliantly told. Advanced reading copy supplied by Netgalley. 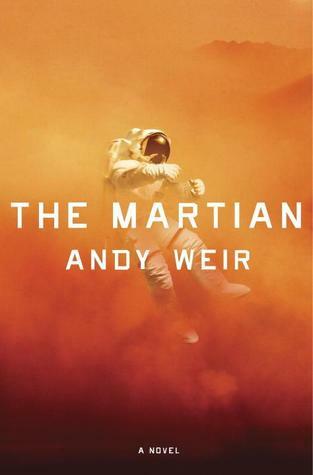 “The Martian” by Andy Weir is available February 11, 2014.